Robin Summerfield says her son was never so captivated as when he watched his late father as a cartoon character in the new Corner Gas TV series. 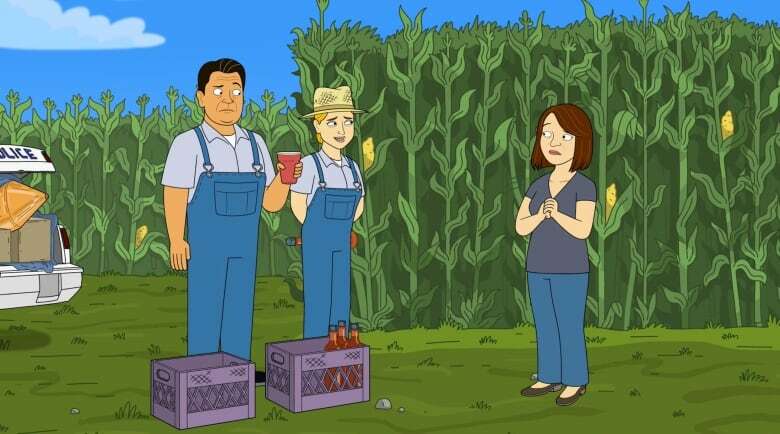 “My son has never been so quiet and he hasn’t ever sat so still,” said Summerfield, who — with her seven-year-old son, Will — recently got a sneak peek at an upcoming episode of the show Corner Gas Animated that pays tribute to Will’s father, Mike O’Brien. The accomplished actor and comedian, who worked as a comedy writer and radio producer for CBC, was well known for his work on TV shows like Less Than Kind and his recurring role in the popular live-action CTV comedy Corner Gas. 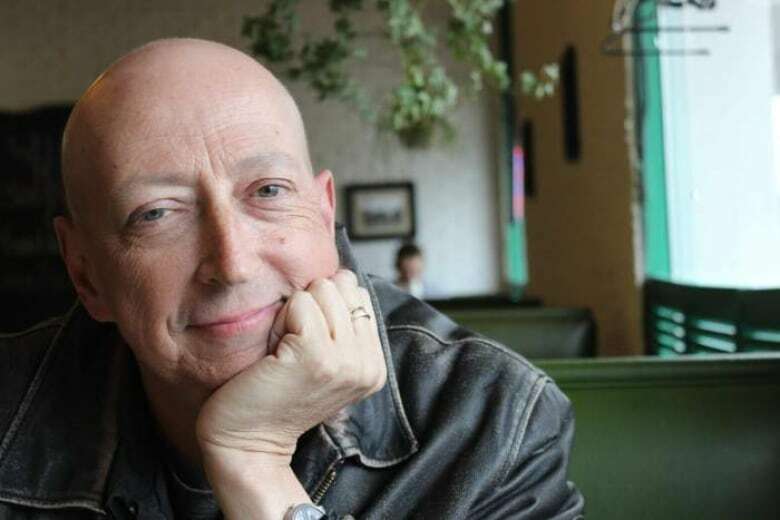 The Winnipegger, who was born and raised in Victoria and spent many years living and working in Regina, died of cancer three years ago at the age of 51. 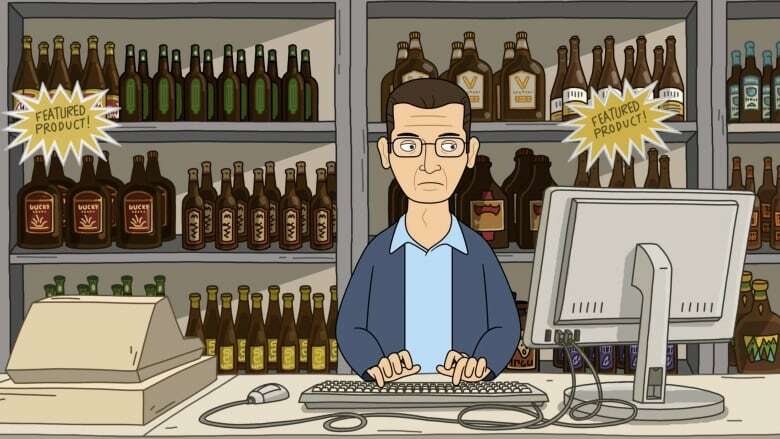 When the popular comedy series was revived as a cartoon, showrunners decided to celebrate their former cast member, who portrayed Wes Humboldt, the liquor store owner and insurance salesmanin the fictional town of Dog River, Sask. The character was based on a real person in Rouleau, Sask., where the series was filmed, says Summerfield. A copy of the script was shared with Summerfield, a Winnipeg CBC journalist, who thought it was brilliant. When she told producers so, they asked her if she would voice a new character — Wes’s widow. She did it for the boy who eventually got to see his father’s alter ego in pixels, she says. In the episode, titled Rum Punch, the character of Robin Humboldt is a widow left, ironically, without life insurance. The discovery of moonshine in the woods becomes an income source for Robin. Mike’s character, Wes, is brought back in flashbacks, where residents of Dog River recall their favourite memories of Wes. Summerfield said she’s flattered by the recognition for her husband, but not entirely surprised. The Corner Gas cast and crew hosted a big fundraiser for the family while Mike was battling cancer. “I knew that Mike was an integral part of that show and it did not surprise me that they would give this little nod to him,” she said. The episode, airing May 21 at 7 p.m. CT on The Comedy Network, will premiere just three days before the three-year anniversary of O’Brien’s death. A tearful Summerfield said she’s learned a lot about loss in the succeeding years. She has a daily reminder of her late husband in her son, who is “a nut, in the best possible way,” just like his father, she said. O’Brien’s humour was one of his defining traits, she said. Even as he faced death, he cracked wise on his blog The Big Diseasey, where he ruminated on his condition and his time left. Summerfield said that sensibility is evident in her son, who loves to dance and likes to raise an eyebrow and make goofy faces like his father. “He’s just a ham and Mike was a ham,” Summerfield said.